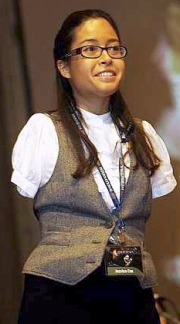 Jessica Cox was born without any arms to an American father and a Filipino mother in Tuscon, Arizona. Prenatal testing did not show any birth issues, but when she came out, she had only two limbs. Doctors could not explain her rare congenital condition as sonograms and other prenatal tests did not reveal any defect. Jessica’s father William Cox is a retired band teacher and mother is Inez Cox , took her to various doctors. There was no answer. 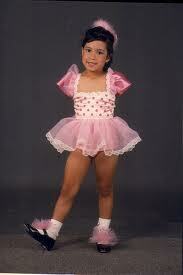 why jessica born with out arms .so Cox learned to do with her feet what other children learn to do with their hands. “As a child, there was no way to understand why I did not have arms like everyone else. It was difficult being different,” said Cox, her voice softening. By the time she was 3, Cox was enrolled in gymnastics classes. By the time she was 6 she was swimming in the backyard pool and tapping out rhythms in dance class. Jessica has been forced to live her entire life using just her feet for everyday things, from text messaging and playing the piano to putting in her contact lenses. Nevertheless, she still took part in various activities such as gymnastics and tap dancing, often performing on stage. Jessica admits that she was quite shy when she was around other children and adults. “I used to feel shy about being different. I remember the first time I was on stage. It was my very first at our dance studio presentation. I was so scared that I asked my dance teacher to put me in the back row. She told me there was no back row.” Fortunately, after the show, the audience clapped and cheered for her. “I couldn’t wait to go out for a second time and perform. I danced for 12 years after that,” she said. Cox credits her parents for being her role models and pillar of support. Her mother is a nurse and her father, a retired music teacher. “My dad never once shed a tear when I was born because he did not see me as a victim. It is hard being a parent to a disabled child. He was my rock during the difficult times and that has shaped me into the person I am today,” she said. She actively participated in Te Kwon Do, swimming (she was able to swim proficiently by the age of six), and even learned how to drive. When she first learnt to drive a car, she was encouraged to use special modifications. However, after she had her car modified, she decided to remove the modifications and now holds an unrestricted driver’s licence. Jessica said that it’s like riding a bike, “I slouch back in the driver’s seat, and control everything, including the steering wheel, using my feet..
At the age of fourteen, Jessica earned her first black belt in Te Kwon Do, and received a second one after she rejoined the American Te Kwon Do Association later in college. She certainly was taking her life to the maximum; whatever a person with arms could do, Jessica stated, “I can also do”. After high school, Jessica attended college at the University of Arizona, earning a Bachelor’s Degree in Psychology. Today, she cooks, eats, washes dishes, curls her own hair, and writes and types with her feet. She also likes to swim and ice skate. She can type 25 words a minute, blow dry her hair, and put on her makeup and contact lenses with as much ease as anyone else. Jessica believes that by combining creativity, persistence, and fearlessness, nothing is impossible. She can write ,use computers, brush her hair and talk on to her phone simply using her feet. Her indomitable spirit overrides what she may lack physically. Cox used to watch with envy as other kids swung about on the monkey bars in elementary school while she was limited to the swings. Frustrated, she would envision herself flying over the playground like Superwoman while everyone watched in disbelief. “I would imagine taking people up one at a time to experience my super powers. Years later, I realised that my imagination had become a reality,” said Cox at a media interview. Flying in commercial planes was her greatest fear since childhood. Needless to say, piloting an aircraft was never on her to-do list. However, that changed when a member of Wright Flight, a Tucson-based non-profit group, approached her after a Rotary Club talk she gave in 2005. The group uses aviation as motivation. A fighter pilot named Robin Stoddard who represented the group asked if she would like to fly an airplane. Being the achiever and optimist that she is, Cox decided to give it a try and was instantly hooked. She learned to fly in rudderless light Ercoupe aircraft, where you only need your hands to control it rather than both hands and feet. Ercoupe aircraft is one of the few airplanes to be made and certified without pedals. Without rudder pedals Jessica is free to use her feet as hands. She took three years instead of the usual six months to complete her lightweight aircraft licence, had three flying instructors and practiced 89 hours of flying. She earned a US Federal Aviation Administration sport pilot licence . (This type of licence does not require a medical examination, only a valid US driver’s licence, an oral and written exam, and a certificate to fly solo.). Jessica is now training to become an instructor – so she can help other disabled people learn to fly. “When I fly, I have the greatest feeling of freedom, independence and power,” said Cox, who controls the throttle with her left foot and the yoke with her right. She is now an inspirational speaker. She now talks almost daily to schools, businesses, and public crowds literally across the nation. Whether it is about overcoming the fear of flying, learning how to walk, or doing well in school, she helps thousands each and every day. Defying the standards of what she calls a "two-handed" world, Jessica shares in her speeches humorous stories of struggles and success. What may have been a disaster of a life to some soft-minded people became a life-long challenge that Jessica determined to beat. She said, “Desire is 80 percent of success. Persistence means never give up. Never allow your fear to stand in the way of your opportunity.” As a human miracle, Jessica Cox believes that every challenge can be overcome with the power of the mind. “Accepting myself is an ongoing journey. It’s difficult to keep your spirits up all the time but I rely on my faith to carry me through the rough times. “The human being must live some difficult moments in life to have emotional moments”. “I may not have arms but that does not determine who I am or who I can become,” she said. “Sometimes fear is rooted in a lack of knowledge and the unknown. When I first started flying, I realised my fear was because I did not know much about it. View this video to see her miracles.